I wanted to photograph it the first time I saw it. Sadly, I was carrying a Pentax Super A with a 50mm f2 lens. I really couldn't frame the building the way I wanted to with that combination. The 50mm is just a little too long. I had brought a 28mm f2.8 to work but I left it back in the office in my bag. I planned ahead and brought the Yashicamat to work a few days later. 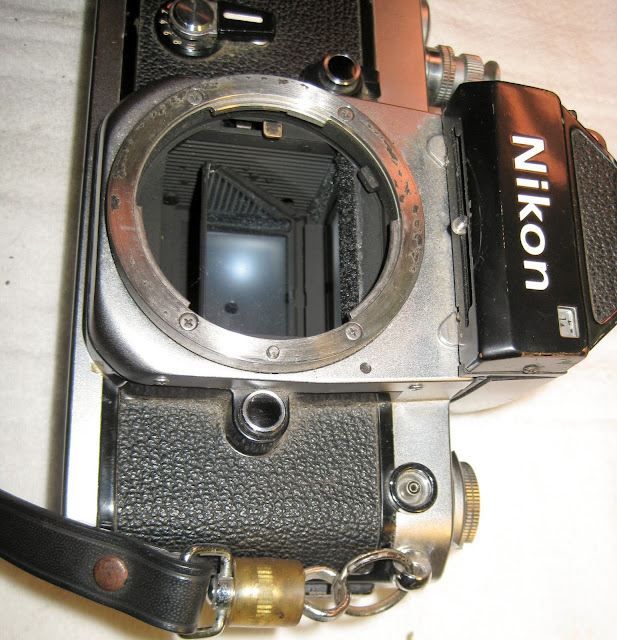 It has an 80mm lens which is roughly equivalent to a 50mm on 120 film shooting 6x6cm. Regardless I set out with my intrepid friend and co-worker Art, and maybe because of the square frame, I was able to find a couple of nice angles on this building. 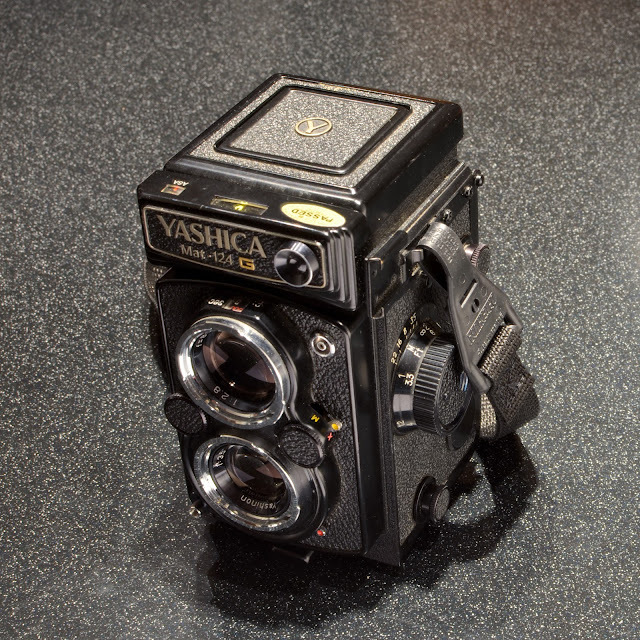 I've waxed poetic about the Yashicamat before. My third post, chevy, is about shooting with this particular camera and talks all about shooting with a TLR so I won't repeat myself here. Suffice to say I have been feeling the 6x6 lately. my old tlr has never looked better. ecstatic that you've given it a new lease on life. as far as i'm concerned, you now deserve it under your roof far more than i do. this camera is special -- it's got a magic lens that prevents highlight blowouts. 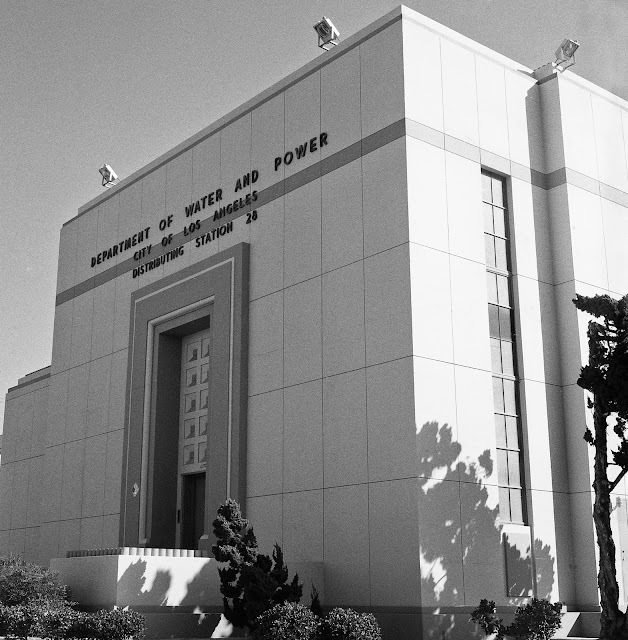 note the right side of the building. and it still gives you nice, deep blacks. 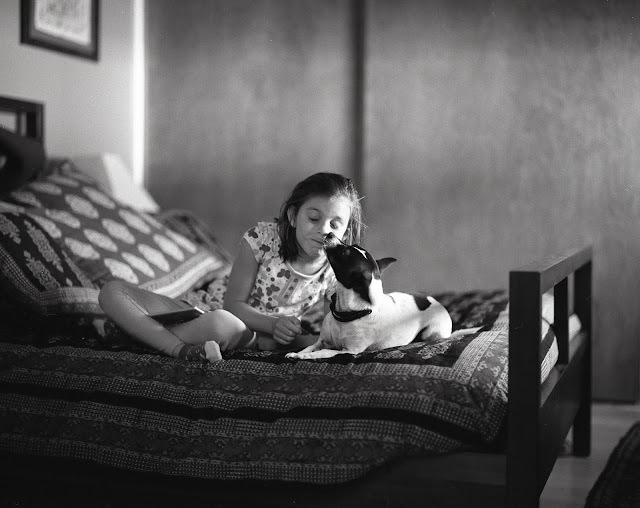 try fp4 with it, it'll really make you smile.